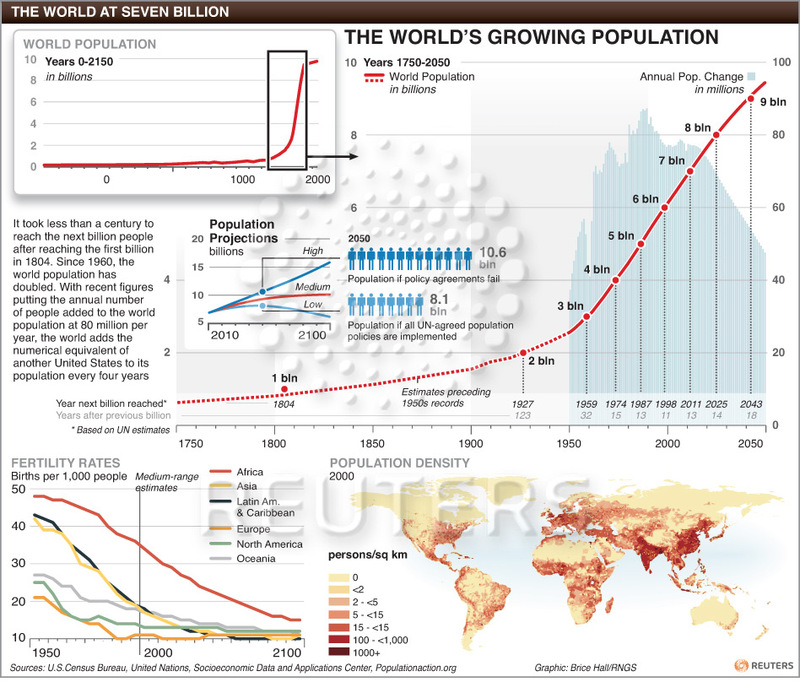 Reuters posted this interesting infographic with several graphs concerning the world population. The United Nations projected that the seventh billion person was born on Monday October the 31st. 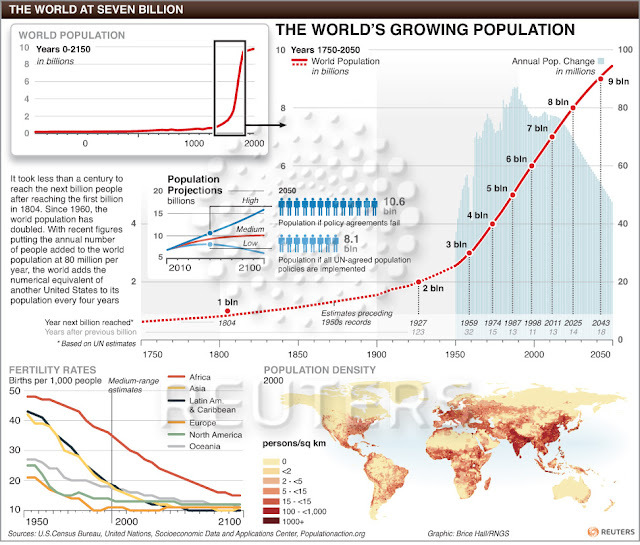 As you can see population growth as exploded in the 20th century. The speed of the growth seems to decline though with fertility rates declining all over the world.